Reliable cars rental a trusted name offering best cab services in Mumbai. We are one of the largest Car Rental and Taxi Service Company in Mumbai and Navi Mumbai with our wide network of cars to take care of your taxi service requirements locally as well as for outstations. Reliable car rental is now the most preferred car booking company for all Mumbaikars.This is all because we give absolute delight of car rental with our unbeatable lowest cab booking charges. Additionally, our pick and drop cab service facilities make you feel like you own a car and just get it rented. We provide the easiest online platform to hire a cab from wherever you are. Our customizable solutions right from car size preference, travel destination or trip time will suit your every requirement. We always ensure your journey will be comfortable, convenient and safe. Mumbai can be big traveler delight only if you have your trusted cab service provider with you! Since years of serving Mumbai people with easy to ride, easy to hire cab facilities; Reliable Cars Rental is the favorite taxi provider in Mumbai. Hiring a cab in Mumbai city is the best option to roam around. 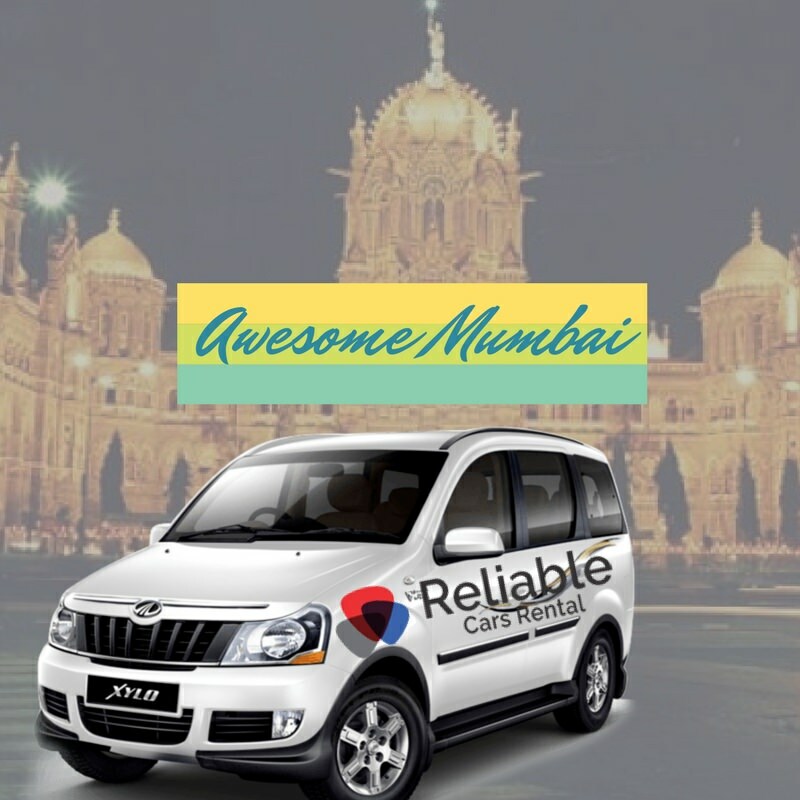 Reliable Cars Services is the perfect option to hire a cab in Mumbai, because of its cost-effective rates and top quality service. Reliable cars rental is the most convenient option that operates all across the city.We treat our customers and their friends and families as our guest become their tour guide, companion and trip advisor. We are known for providing hassle free cab facilities in town. Our cultural values of car rental are proposed to treat our customer with respect and humbleness. Till date we are proud to give millions of Car rides to our valued customers and be the reason of their smiles! Many people get worried of travelling in and around of Mumbai city. Get rid of hectic schedule of Mumbai local trains, as Reliable Cars Rental promises to offer astonishingly lowest rates of cabs all over Mumbai. We have become a cab partner, trusted taxi-man on call, a cab on click and a car on booking service provider as per your need. Commuting on daily basis if you prefer Cabs on share within Mumbai or individual car options we are there to help you. Here you get cars as per your demand like AC/Non-AC, mini cars, macro cars, Sedans, SUV, Luxury or even you can choose any according to your requirement. Our wide network of cab providers will give a pure delightful and safe ride from anywhere at any time. Day 1: Upon your arrival in Mumbai, checked in to hotel. At the evening explore the nearby sightseeing. For instance, you can visit the famous Siddhivinayak Temple,Mahalaxmi Racecourse,Juhu Beach and watch the sun in reddish hues. You can also savor the mouth-watering Mumbai ‘Pav-Bhaji’ and Bhel on the beach. Stay overnight in Mumbai. Day 2 : In the morning, drive to the Elephanta Caves and city tour. Then move to the Gateway of India. Then there is Elephanta Caves, located on an island about 10 kilometers away from the shores of Mumbai. These caves comprise of temples carved from solid rock dating back to the 7th century. The main attraction is the three-headed bust of Lord Shiva, known as ‘Trimurti’. Thereafter, go onto a city tour. Later, halt at the Gateway of India, drive past monuments built during the British era such as Mumbai University, Rajabai Clock Tower, High Court and Chhatrapati Shivaji Maharaj Terminus (VT). You may choose to stroll across Fashion Street which is famous for its clothing and accessories. Later drive past Marine Drive also known as the Queen’s Necklace. Later, ascend Malabar Hill to visit the beautifully adorned Jain Temple, Kamala Nehru Park and the Hanging Garden. Later, return back to the hotel for dinner and overnight stay.